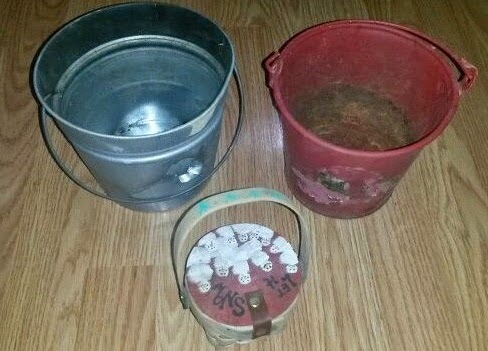 Do you have an old bucket laying around? Or maybe a new galvanized one even? If so, you can easily prim it up a bit with very little effort. The one on the right. 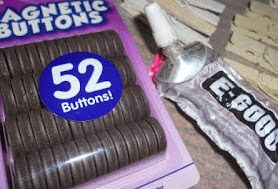 I got these in an auction box, with other stuff for only $1.00. Ignore the one with the hole, I was trying to cut out a circle for a birdhouse. Still trying!! All you really need to do is give it a good base coat of whatever color you prefer. I went with a burgundy red in the craft paints section at Walmart. Then I went back and added some streaks of black here and there with a makeup sponge to give it a bit of an older look.I did the black mainly around the top and bottom. And I applied it to the handle too. Dry dab the black on. Don't paint it on like you would to cover. Just add some grungy look. Then let it all dry again. Next was to add on a star. 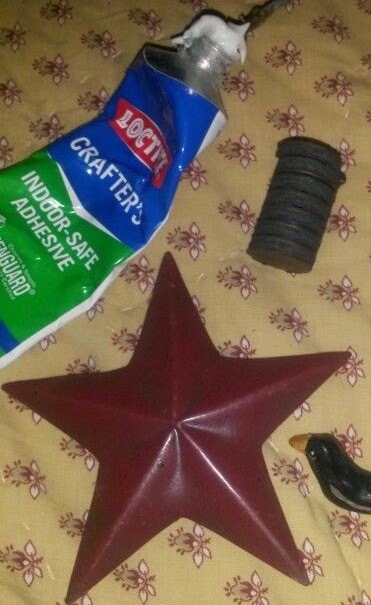 I have plenty of these metal stars laying around from my craft supplies. I had just made this one with a magnet and some Locktite crafters glue, found at Walmart. I usually use the E-6000 but I couldn't find it at the time. Ignore the cute little crow. More about that in another magnet post! So with the magnet in place, it was easier to add the E-6000 glue (found it!) to that and then glue it onto the bucket. E-6000 glue is some strong stuff! Even holds glass to glass great! 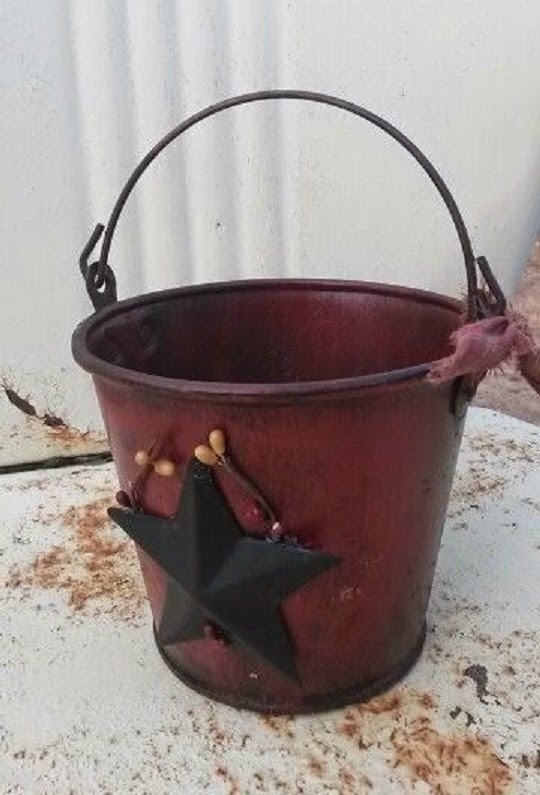 But hey, if they star holds on the bucket good enough for you, you can always just use it that way. But for me, I am making this to sell in my craft booth, so I need it to have a strong hold. And the E-6000 glue does the trick! You'll need to let it lay flat on it's back for a while because the e-6000 takes a bit. And as you can see, I went ahead and added a few strips of pip berry from a garland I had. 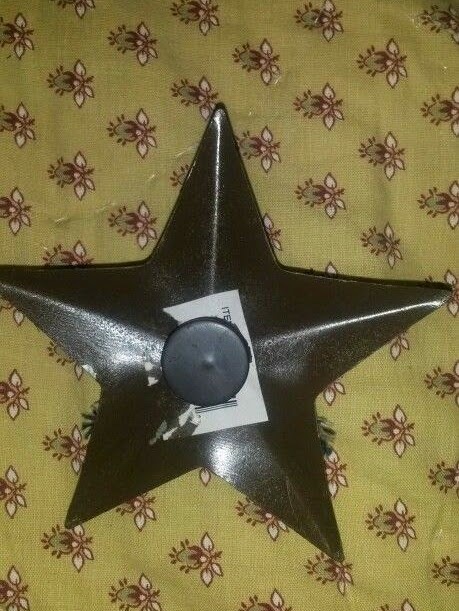 Just snip a few off with wire cutters and apply them behind the star with hot glue. They are light enough that the hot glue holds it good. And finish it off with a strip of torn up homespun fabric on the handle. I also painted the inside and added bits of black here and there. Because the inside was pretty rough before. Now it is good to go. 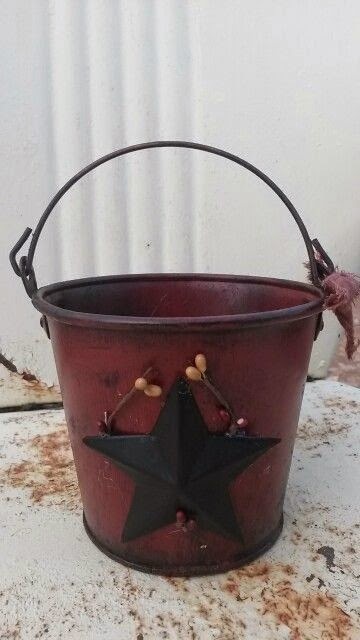 Hope you liked my little bucket makeover post. A very simple re-do, but well worth it. Love it! Do you use them for planting flowers in? I do have a few outside that I stick those plastic tubs of flowers in. I also have a few larger metal tubs I'm going to plant in again also. Love them! 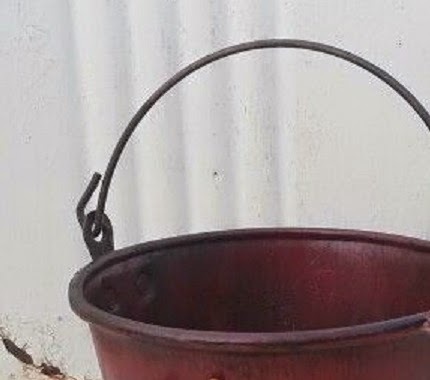 I love your bucket makeover, very pretty. Enjoy your day! Thanks eileeninmd! It made a world of a difference. 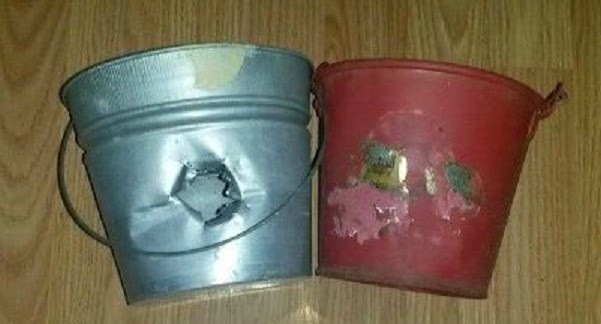 You did a great job with this bucket! I would have never thought it would come out this nice! It came out great! 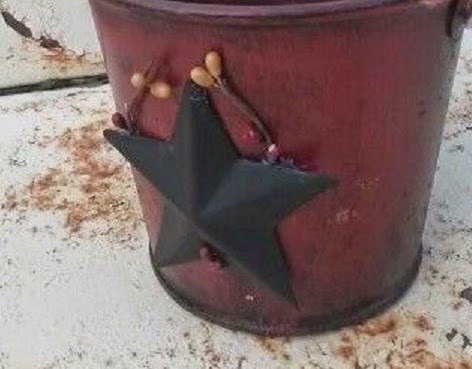 Love the color and the star with the magnet is perfect!